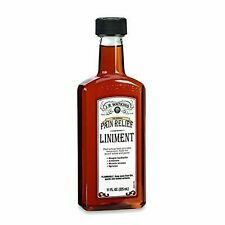 J.R. Watkins Pain Relief Liniment 11 oz. Penetrex Patented Pain Relief Medication Breakthrough 4 Oz. Tired muscles or joints?. 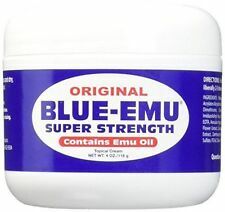 Original BLUE-EMU Super Strength Cream is what you need! Super Strength Cream, made with real emu oil, is a naturally powerful carrier that has the ability to penetrate the skin with great efficiency. Active Ingredients: Aesculus Hippocastanum 6X, Arnica Montana 6X, Belladonna 6X, Crotalus Horridus 6X, Echinacea 6X, Graphites 6X, Heloderma 8X, Lachesis Mutus 8X, Naja Tripudians 8X, Rhus Toxicodendron 6X, Ruta Graveolens 6X. Uses: For the temporary relief of minor aches and pains of muscles and joints due to: simple backache, arthritis, strains, bruises, sprains. Children under 2 years of ages: do not use, consult a doctor. TIGER BALM ACTIVE MUSCLE RUB provides temporary relief of minor aches and pains of muscles and joints associated with simple backache, arthritis, bruises, strains and sprains. Massage before sports or for pre-exercise warm-up. Trending at $3.90eBay determines this price through a machine learned model of the product's sale prices within the last 90 days. Allergy alert: If prone to allergic reaction from aspirin or salicylates, consult a doctor before use. If pregnant or breast-feeding, ask a health professional before use. Keep out of reach of children. BUY 2 AND GET SUPER FAST SHIPPING ! Trending at $22.15eBay determines this price through a machine learned model of the product's sale prices within the last 90 days. PURE RELIEF MUSCLE & JOINT MASSAGE RUB 4 OZ. Concentrated 50 applications. Temporarily relieves the minor aches and pains of muscles and joints associated with simple backache, arthritis, strains, bruises and sprains. Tea Tree Oil & Eucalyptus. Use only as directed. Children 12 Years of Age And Under: Ask a doctor. SIANG PURE BALM WHITE Use: Rub over for relief of muscle pains, sprains and bruises. Ingredient in 100g: Menthol 28.0g, Methyl salicylate 18.0g Camphor 16.0g, Base Q.S to 100.0g. Trending at $3.75eBay determines this price through a machine learned model of the product's sale prices within the last 90 days. TIGER BALM NECK & SHOULDER RUB BOOST 50 g. Purpose: Back Pain, Muscle Pain. Stronger relief for shoulder pain, sore and stiff neck. 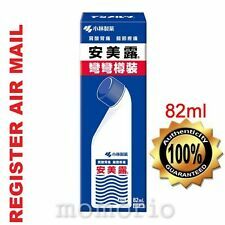 50gm lotion tube. Non-greasy texture and soothing scent. Cautions: External use only. Its function is to promote blood circulation, stop pain and help regeneration of bone tissue. Zheng Gu Shui is an anti-inflammatory and analgesic gel-patch for external use only. This product is use for relaxes the muscles and joints and stimulate blood circulation, relieves sickness disperses the stasis. Trending at $17.29eBay determines this price through a machine learned model of the product's sale prices within the last 90 days. Original Snake Thai Herbal balm black Massage for Body Pain Muscular Aches Headaches 50g Medical black the balm of snakes Banna is intended for the treatment of osteoarthritis, arthritis, rheumatism, sciatica. The composition of balsam contains poison, bone and snake skin (in small numbers) with the addition of therapeutic Thai herbs and coconut oil. High performance Thai balms is determined by active substances which are spread by blood throughout the body and reach every organ. The balm is only used outside. It is necessary to apply a thin layer to desired area and a little grind. Application: - In diseases of the musculoskeletal system, gently massage the balm into the affected area until absorbed. To use the balm 2-3 times a day. Colds are used as inhalations and rastirok. Contraindications: Individual intolerance to the components. Epic Relief is a topical Hemp oil balm that is designed for muscle and joint pain relief. CBD has been proven to reduce inflammation and swelling, and is rapidly growing in popularity. This balm contains more than the effective amount of CBD needed to provide relief. Two Old Goats Essential Lotion 8oz. For Your Toughest Aches And Pains!